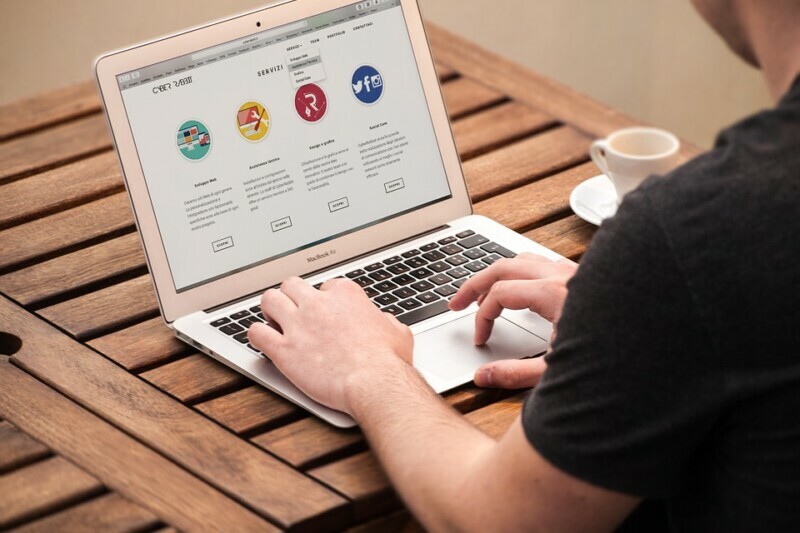 Things You Can Do To Get More Eyes Onto Your Business Website - Syntax PPC Modern customers are heavily focused on digital research and this includes visiting your website. If they're left unimpressed, they'll look towards other options including your main competitors. This is why it has become important to build a world-class website for your brand. Along with building a great digital asset, it's time to look at basic things you can do to get more eyes onto your business website. 1) SEO This is one of the strongest and most proven ways to bring more people to your website. SEO is about ranking for major and long-tail keywords so people can find your website on Google/Bing. Whenever the type in the keyword, your website is going to show up in the search results. This is free and is going to be a great way to generate leads. 2) Social Media Pages One of the most basic things a business can do is to set up social media pages. Whether it is a Twitter account or a Facebook business page, these are digital assets you want to have up your sleeve. There is nothing better than being a well-rounded business with numerous social media accounts that engage with followers. Along with these social media pages, you can add links to your website whenever updates are made. This is how new people are going to come to your website. 3) Networking In the past, networking was one of the strongest tools in a business owner's arsenal and the same applies right now. If you want to generate leads then it's time to start networking with other online business owners. For example, let's imagine you run an online shop and want more people to visit the website. Why not connect with other blogs/websites/podcasts in the niche to spread the word? The people on these websites are going to be well-targeted and will be easier to convert. This is a game-changer and one of the best ways to sell. Build relationships with these website owners and see whether or not they're willing to partner up with you. 4) Freebies What about enticing people with freebies on your website? People love the idea of getting something for free and that's been a relevant strategy for generations. Make sure to incentivize the process, so people willingly hop online and search for your website. This is how you're able to build a positive relationship and they'll appreciate what you stand for. 5) Use Online Directories Online directories are a wonderful option. These are online resources made to collect websites based on different categories. For example, if you are an auto shop, why not get listed under the category in an online "Yellow Pages" This is what an online directory is able to provide and it can be a serious game-changer. You have to look into adding your website to these directories as soon as possible. Continue to take a look around and pinpoint the main online directories and start applying for a spot. It won't take long and you're going to see a new stream of leads pour in as soon as you want. Final Thoughts Make use of these strategies and you're going to be well on your way to a successful setup. Remember, it's not going to happen overnight and there are many challenges along the way. However, a determined business can continue to chip away until a consistent stream of leads pours in. This is all about staying patient and doing the basics right. As long as you're committed to the task, it will end up working out! Your business website is a critical part of the sales funnel. Modern customers are heavily focused on digital research and this includes visiting your website. If they’re left unimpressed, they’ll look towards other options including your main competitors. This is why it has become important to build a world-class website for your brand. Along with building a great digital asset, it’s time to look at basic things you can do to get more eyes onto your business website. This is one of the strongest and most proven ways to bring more people to your website. SEO is about ranking for major and long-tail keywords so people can find your website on Google/Bing. Whenever the type in the keyword, your website is going to show up in the search results. This is free and is going to be a great way to generate leads. One of the most basic things a business can do is to set up social media pages. Whether it is a Twitter account or a Facebook business page, these are digital assets you want to have up your sleeve. There is nothing better than being a well-rounded business with numerous social media accounts that engage with followers. Along with these social media pages, you can add links to your website whenever updates are made. This is how new people are going to come to your website. In the past, networking was one of the strongest tools in a business owner’s arsenal and the same applies right now. If you want to generate leads then it’s time to start networking with other online business owners. For example, let’s imagine you run an online shop and want more people to visit the website. Why not connect with other blogs/websites/podcasts in the niche to spread the word? The people on these websites are going to be well-targeted and will be easier to convert. This is a game-changer and one of the best ways to sell. Build relationships with these website owners and see whether or not they’re willing to partner up with you. What about enticing people with freebies on your website? People love the idea of getting something for free and that’s been a relevant strategy for generations. Make sure to incentivize the process, so people willingly hop online and search for your website. This is how you’re able to build a positive relationship and they’ll appreciate what you stand for. Online directories are a wonderful option. This is what an online directory is able to provide and it can be a serious game-changer. You have to look into adding your website to these directories as soon as possible. Continue to take a look around and pinpoint the main online directories and start applying for a spot. It won’t take long and you’re going to see a new stream of leads pour in as soon as you want. Make use of these strategies and you’re going to be well on your way to a successful setup. Remember, it’s not going to happen overnight and there are many challenges along the way. However, a determined business can continue to chip away until a consistent stream of leads pours in. This is all about staying patient and doing the basics right. As long as you’re committed to the task, it will end up working out!